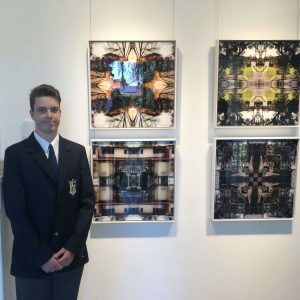 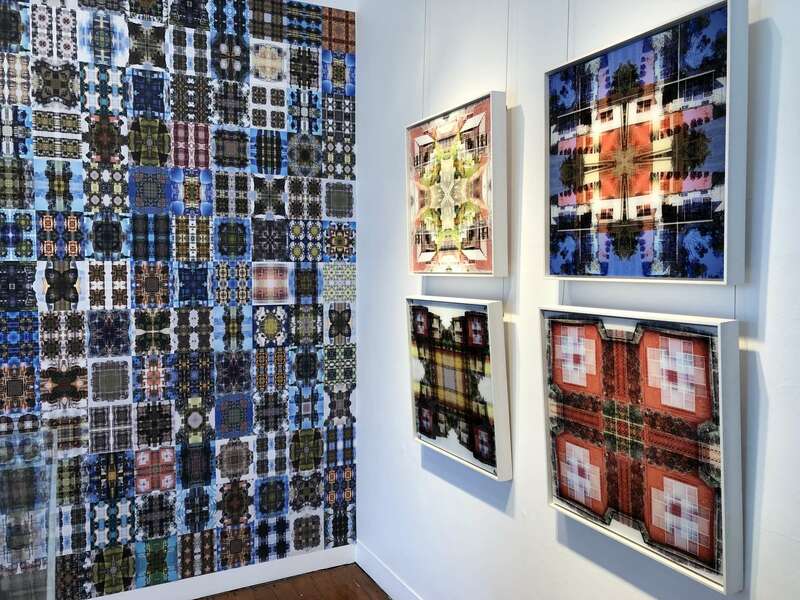 Over 12 months in the planning, Year 9 and 11 Photography and Digital Media students from St. Dominic’s College and Caroline Chisholm College unveil their works as part of “The Ideal Home” summer exhibition at Penrith Regional Gallery. 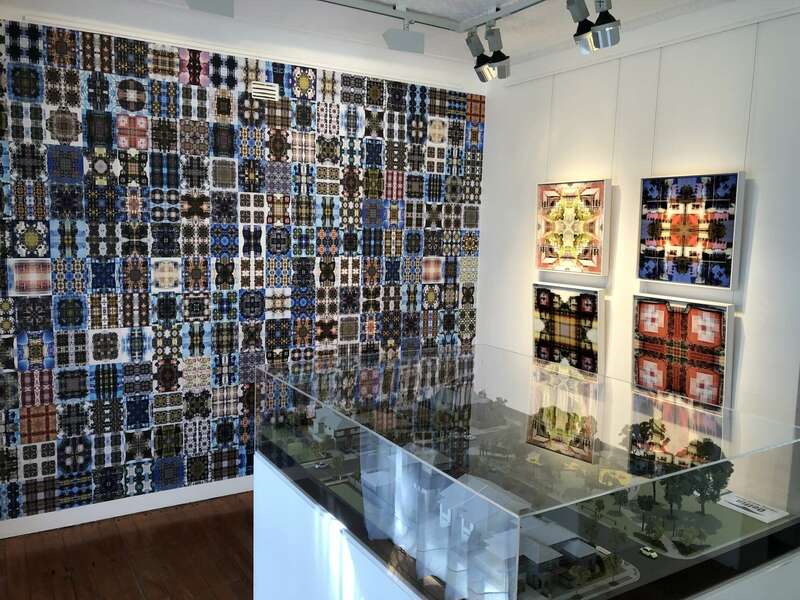 “Home’’ was a collaborative project inspired by workshops lead by contemporary multidisciplinary artist Khaled Sabsabi. 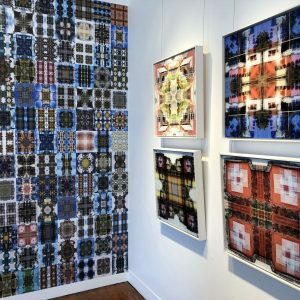 The digitally manipulated photographic works explore eclectic views of domestic streets in Penrith and surrounding suburbs. 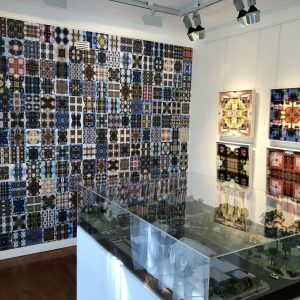 Images of houses were manipulated, mirrored, and faceted into a kaleidoscope reminiscent of the changing paradigm in our local environment. 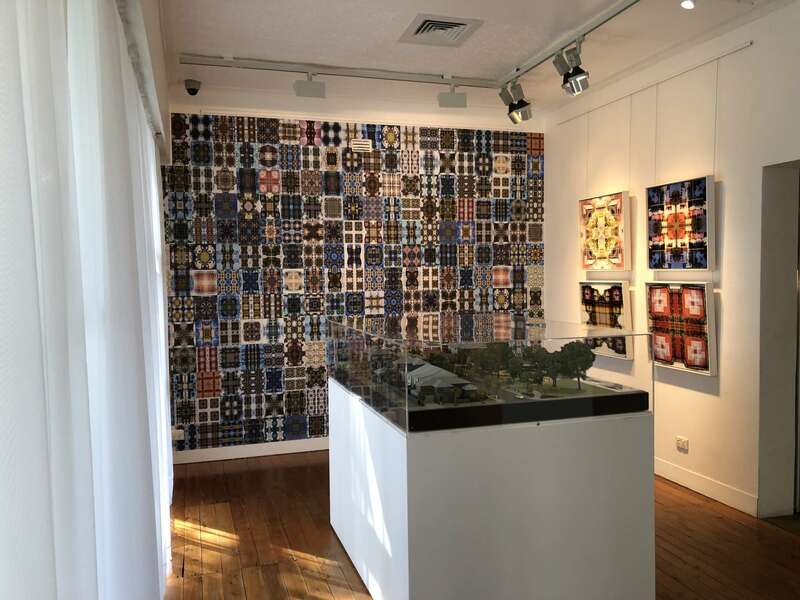 The large wallpaper work enabled all students involved in this unique project to be featured. 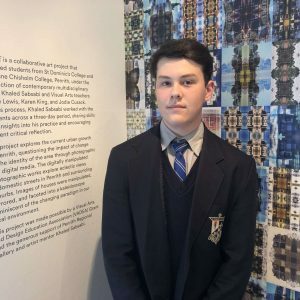 A silent film portrays the student voice in their dialogue of what a home means to them. 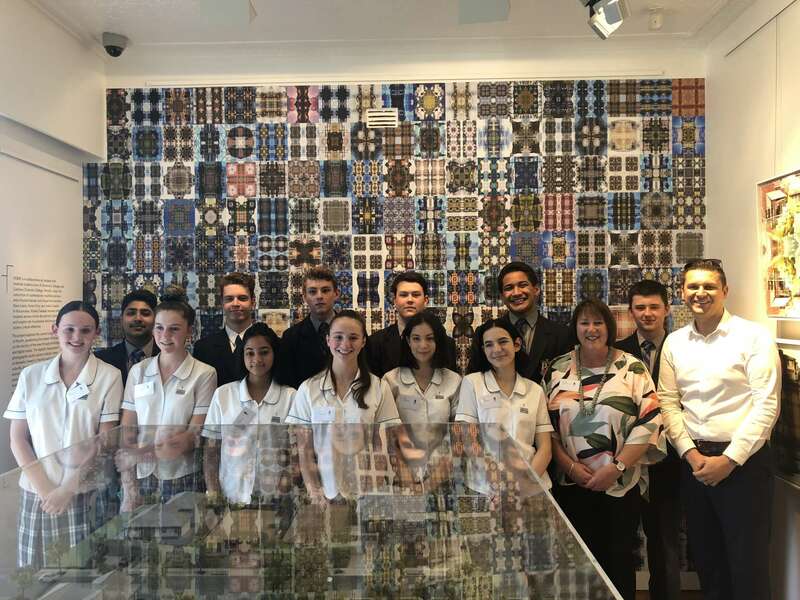 We are very proud of our students and the quality of their work. 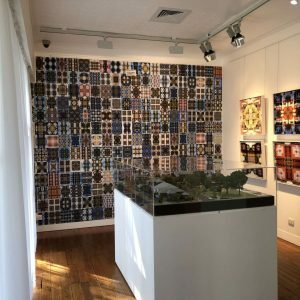 We are also grateful for the trust that the Penrith Regional Gallery and Director Lee-Anne Hall placed in us by allowing our students to exhibit alongside Richard Goodwin, eX de Medici, Catherine O’Donnell, Cope ST Collective, Blake Griffith and the Museum of Applied Arts and Science Collection. 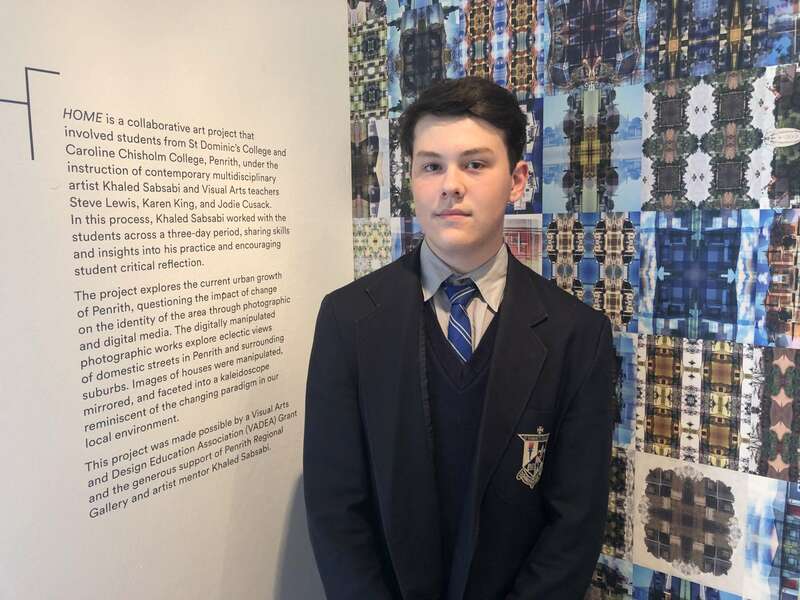 This project was made possible by a Visual Arts and Design Education Association (VADEA) Grant and the generous support of Penrith Regional Gallery and artist mentor Khaled Sabsabi. 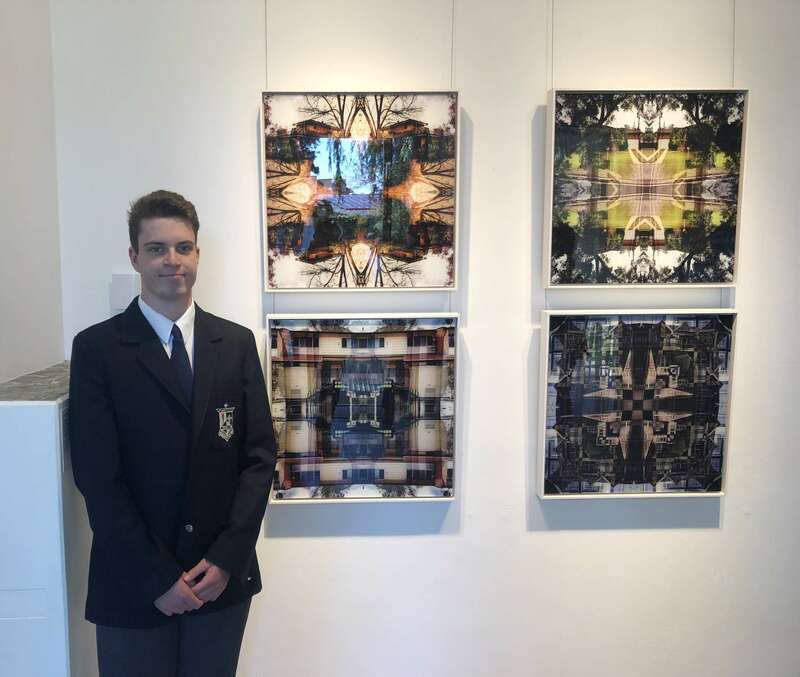 Special thanks also to collaborating Visual Arts educators Karen King and Jodie Cusack, it was a pleasure working with you on this project. 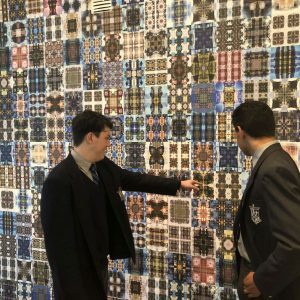 Congratulations to all students from both St. Dominic’s and Caroline Chisholm Colleges who are part of this exhibition. 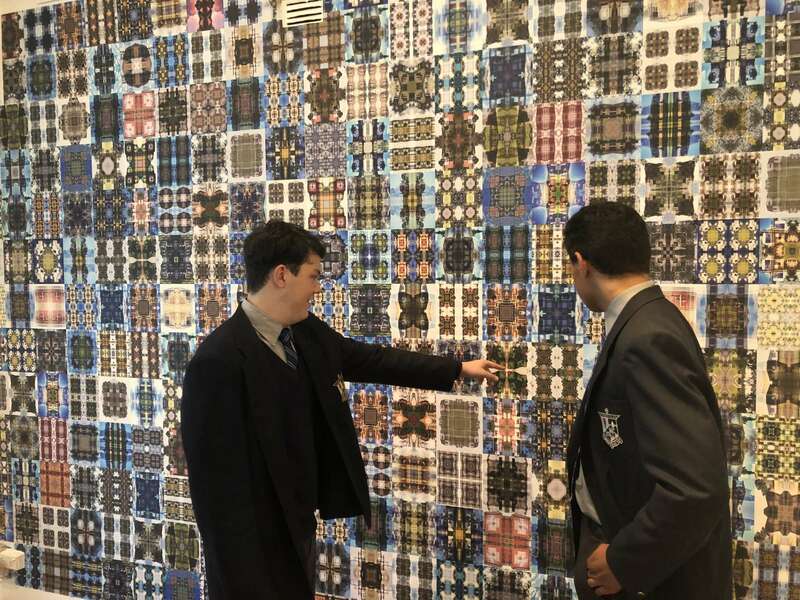 The boys identify their works in the large wallpaper installation. 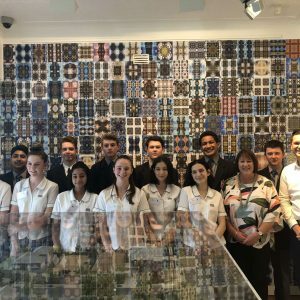 Opening of The Ideal Home Exhibition - Students from St. Dominic's College and Caroline Chisholm College with Art teachers Mr. Lewis and Mrs King.